Perfectly situated in the heart of Africa, Uganda is a small country whose one-fifth of the total area is covered by open water bodies as well as swampland which also support the survival of some wildlife and bird species. Taking safari to Uganda will allow you discover four of East Africa’s prominent Lakes including Lake Victoria-third largest in the world, Lake Edward and Lake Albert plus even the salty Lake Kyoga that strategically positioned within Uganda’s boundaries with its neighboring countries. The southeastern part of Uganda is mainly covered by magnificent Lake Victoria– the third largest water body in the world. The common aspect about the Ugandan lakes is that the popular lakes in the whole of East African region. 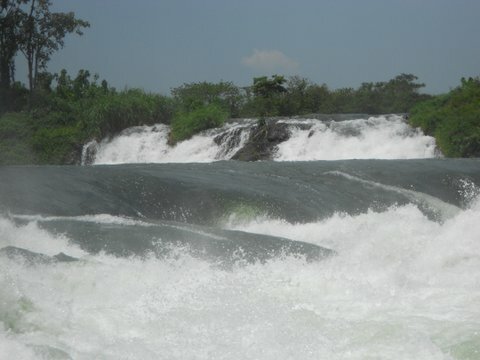 The popular lakes are mainly fed by famous rivers that are spread in different areas of Uganda. Exploring the natural open water bodies of central Uganda while on your Uganda safari tour will offer you a chance to enjoy adventurous activities like fishing, boat cruising as well as having close account of different water birds drinking in the banks of the rivers and lakes. The unique lakes like Lake Kyoga which its stretches its fingers to include other small lakes like Lake Bugondo, Lake Kwania, Lake Opeta, surrounded by swamplands deserve tour by each and every traveler on Uganda safaris. Uganda safari tour to River Nile enables tourists to explore the source of the Nile which starts its fascinating journey from Uganda in Jinja. River Nile is which is joined by one of the Ugandan river tributaries- Kafu River from the western part really deserves to be explored. A visit to other amazing Uganda’s rivers including the River Katonga River that directly flows westward from Lake Victoria to Lake George is highly recommended for any visitor on safari to Uganda. From the north, one can explore the famous Semliki River which is frequented by various wildlife species protected in Semliki national Park. Touring Uganda lakes and rivers will connect you to splendid waterfalls at Murchison Falls national park bisected by the prominent Victoria Nile River. This is home of adventure because while exploring the Victoria Nile, through launch cruise, one is rewarded with wonderful views of wildlife drinking in the banks of the river. Uganda is also endowed with different crater lakes and these are mainly located in western part of Uganda. Exploring these crater lakes enables you to enjoy other tourist attractions located in the western part of Uganda.